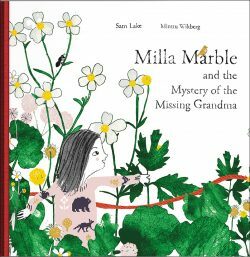 Milla’s grandma has gone missing. Luckily, Milla will be the world’s second greatest detective when she grows up. She follows a clue – grandma’s red wool thread – into an ADVENTURE waiting in the magical world inside the wall paper in the grandma’s cottage. Milla Marble and the Mystery of the Missing Grandma is a children’s book that weaves myth, fairy tale and quirky humor into an exciting and endearing adventure. Drawing inspiration from classic picture books, the charming illustrations add modern playfulness and Nordic style into the mix. Med denna påkostade och fantastiska samlingsvolym vill vi fira en av Sveriges största barnboksskapare. Själv bidrar han genom att restaurera alla gamla böckers illustrationer till en nivå som motsvarar hur de en gång såg ut i original.